Kitchen ventilation systems can only be operated efficiently and hygienically through regular cleaning and ongoing maintenance. At Duct Hygiene we can assist you to ensure your kitchen ventilation system is maintained to the standards stipulated by the BESA and complies with current legislation and guidelines. Our services operate to accommodate your needs. We provide a 24-hour service, which allows us to carry out the clean at a time that suits you. Our friendly in-house call-centre will arrange for us to visit your premises and are there to support you throughout the process. Our maintenance team will arrive at your premises with Company Identification Cards and fully uniformed. A team member will walk through your system, evaluate any access issues and provide an accurate timescale for completing the work. Where access allows, we will conduct a thorough clean of your duct and extraction system and, should the need arise, we will use a chemical wash throughout. Prior to commencing the clean, we will take digital photographs of your system. Photographs will also be taken when we complete the cleaning process. 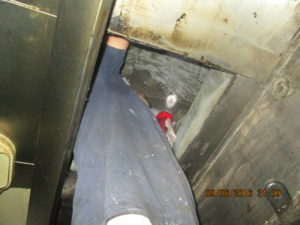 For more information and prices Commercial Kitchen Duct Cleaning Dubai, call us at 055-897 7547 or 04-3383 744.